Last week. a relatively small-scale protest — or provocation, depending on your point of view — resulted in raucous uproar, seen in columns in The Dartmouth and campus-wide blitzes eager to make a statement. So to those who thought that the discussion about the “Indian apparel” posters was over — I also have something to say. The recent incident caused an almost unchallenged chorus of disapproving voices. 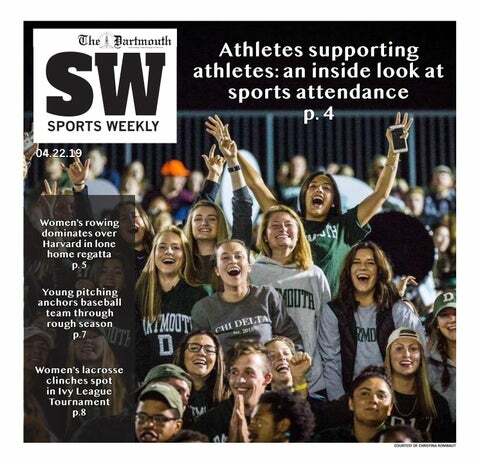 Therefore, I would like to provide a different perspective — while the promotion of the Dartmouth Indian may be immoral, calling it hate speech is an overstatement, and a dangerous one at that. Similarly, the College has no reason to launch a “thorough investigation” of this incident, simply because no one broke any specific rule. Moreover, there are two problems with the one-dimensional criticisms. First, the College can never become truly diverse if it is afraid to hear dissenting opinions, and second, by punishing views that might offend someone on campus, the College would be moving closer to establishing some form of speech code — a dangerous move for an educational environment. I will first explain why this is not an example of hate speech. The posters certainly were gratuitous in their use of the Indian mascot. Yes, they opposed the ban of the mascot and provoked the Dartmouth community, but did they clearly articulate hatred of Native American students? No. Hate speech is usually defined as speech attacking a group of people or a person on the basis of race, religion or other personal attributes. While I oppose narrow textual interpretations of rules and laws, I fail to see how the posters constitute an attack on Native American students. There are plenty of studies suggesting that using Native American caricatures as mascots in sports promotes stereotypes against this racial group, but that does not mean that support for these mascots equals belief in the stereotypes. It simply means that some people challenge the claimed connection between Native American mascots and stereotypes against Native Americans. Moreover, it could be that the students behind the posters have nothing against Native American students, and they really just contest the idea of political correctness. After all, the slogans on the posters suggest the latter. Hate speech is an expression of hatred, and the posters do not necessarily belong to this category simply because they used the Indian head symbol. The College often touts its diversity. If we really are committed to this goal, we must prepare ourselves to hear diverse opinions as well as consider diverse backgrounds. Diversity is just as much about opinion as anything else. By excluding opinions that might offend, we create a homogenous environment that is only superficially diverse. Among diverse students, it is likely that unconventional opinions will cause some offense, and we must be ready to debate these opinions rather than demonize them. Otherwise we would encourage administrators to look for “speech criminals,” and the school newspaper would become a collection of polished, neutral articles students read just to catch up on the successes of our football team. Even this column might offend someone — but that does not mean it should not be published. That the flyers have been condemned by campus leaders and administrators as “hate speech” and that some desire administrative inquiry — possibly carrying disciplinary consequences for acts that are ostensibly not criminal — sends a worrisome signal that Dartmouth is closer to adopting some form of speech codes — if just unofficial ones. We have to be careful to avoid this practice as it undermines the principles of higher education. It would be a shame if universities become places where, instead of learning how to think, we learn what we are supposed to think and what we should condemn. In the outside world, people still discuss whether the usage of Native American mascots is justifiable, debate humans’ role in climate change, ask whether citizens should have the right to bear arms — we have to learn how to discuss these topics, not avoid them just because they sound ridiculous or somehow offensive to us. Learning can be uncomfortable, but we do not learn for comfort. While we must draw a line between free speech and hate speech, we should not define it in extremes. In short, I urge Dartmouth to debate rather than vilify.